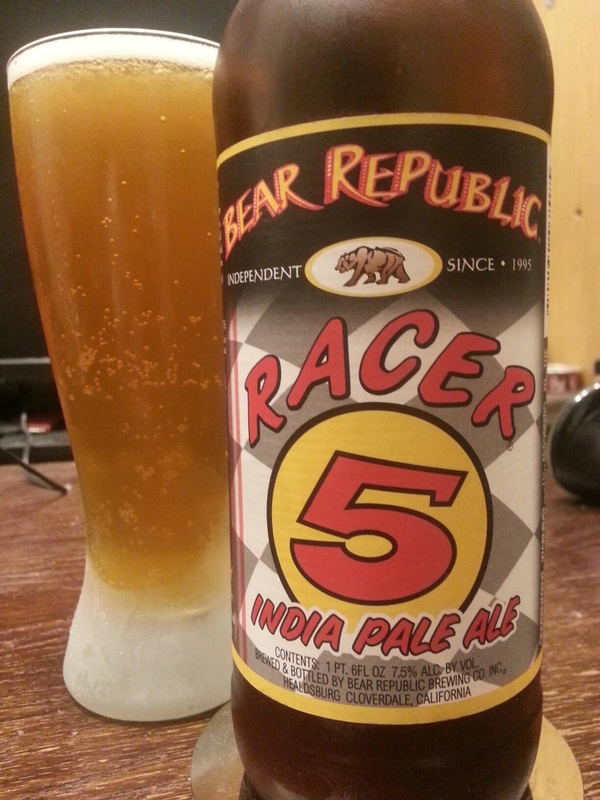 Racer 5 India Pale Ale – Bear Republic Brewing (Cloverdale, CA, USA) | Justintoxicated. -I can’t remember how many times I passed by this bottle while perusing the beer shelves thinking “this beer can’t be any good, the label is too plain“. Visual: Pours yellow orange with a small fine head, hazy layer of retention, lots and lots of fast streams. Finish: stealth soft bitter hops, malty clean finish. Summary: Inconceivably smooth. A zen-like balance of sweet, creamy, bitter, and alcohol. The finish could be slighter longer but otherwise flawless.